I haven't posted in a little while and it's because all I've been doing in my free time is sewing! I stay up way longer than I should just sewing away. I wanted to share one of the things I've made. This little fleece hoodie is for my friend's baby boy that she is expecting in January. She and her husband are Green Bay Packers fans so I made the hoodie in their colors! It was so soft that I wanted to keep it just to snuggle with it! I found the pattern on Etsy from a shop called Puperita. Her pattern was really easy to follow! This Thanksgiving I am thankful for discovering a new passion. I am loving every minute of sewing and I hope it does not go away. I want to wish everyone a Happy Thanksgiving! Enjoy time with your families and eat until you waddle! It is wonderful that you have discovered such a useful talent! 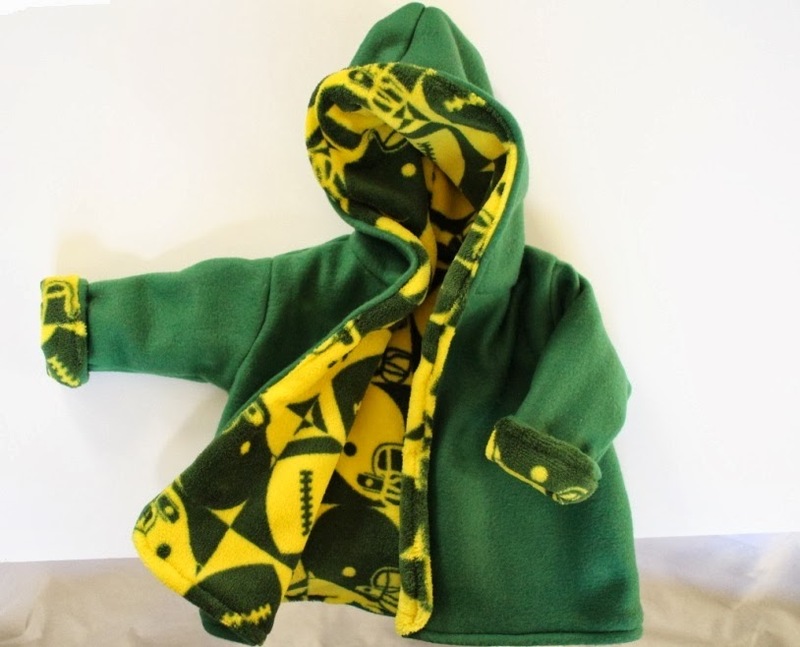 This is a very nice coat for a little packers fan. I've always wanted to learn how to sew but never did. Happy Thanksgiving! New found passions are so fun. Your very talented. Great job on the hoodie, and you can see how soft it is even from here! You are so talented, Khammany! The little hoodie jacket is precious. Happy Thanksgiving to you and yours!! I wish you a happy Thanksgiving and well done with the jacket. It looks just perfect ! You're very talented. It looks very professional and is really cute. Are you going to make more for your shop? Sooo adorable, Khammany! I can tell you've found your passion because your talent is shining through! So cute Khammany! Hope you had a wonderful Thanksgiving and yes, you should be thankful for this new passion as we are too following your creative projects! This is adorable!! Every time I come to your blog lately you make me want to sew something!